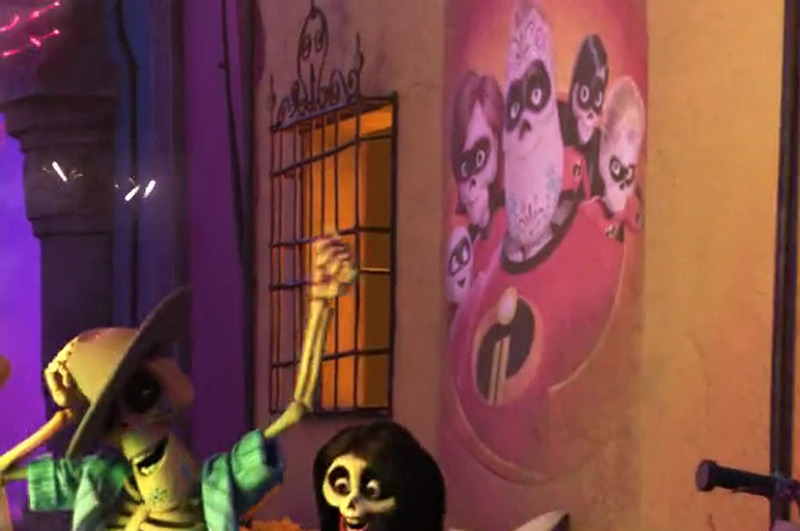 A poster for The Incredibles can be seen very briefly on a wall. 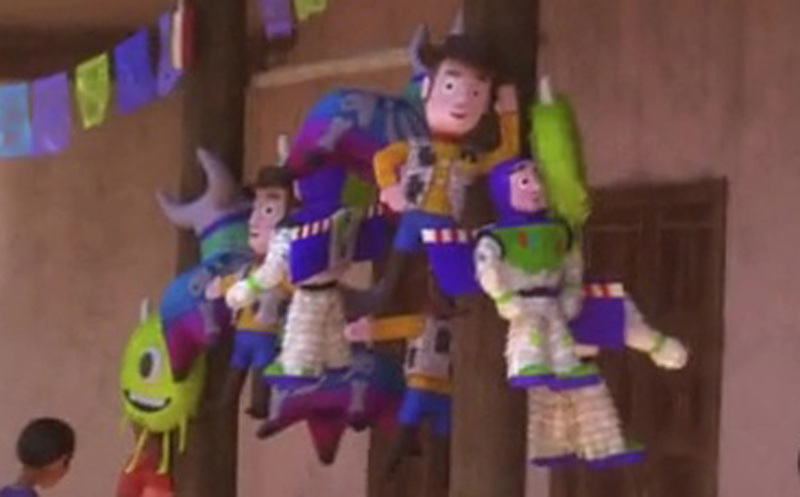 On his way to school Miguel passes by a group of hanging pinatas made to resemble Pixar characters. 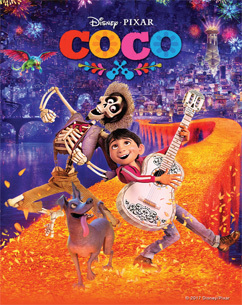 The Pizza Planet Truck from Toy Story can be seen very early on in the movie as Abuelita is trying to stop music from getting into her home.